You are currently browsing the tag archive for the ‘5 star review’ tag. We live in a world of constant distractions, some necessary in our lives and some from our own idle invention. There is a oft-read humorous story about a woman who starts her day with a “plan” but as she moves through her day she finds things she also “should do”. At the end of the day her car is unwashed, her bills aren’t paid, her lawn isn’t watered, she can’t find her car keys and the TV remote is missing. She was busy all day and yet never got anything she planned to do done. 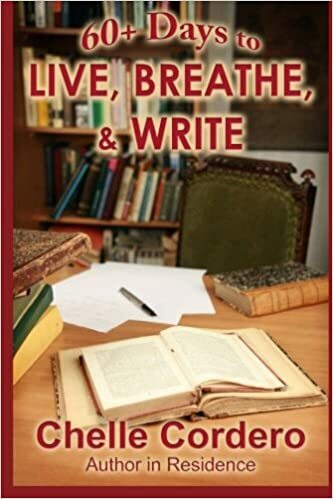 Many of us start out the same way and writers with their vivid imaginations and the ability to throw ourselves into a world of make-believe are certainly prone to the unintentional procrastination. Freelance writers working from “home” have added temptations and distractions. How often has a terrific idea flitted through your mind and you’ve thought “one day I’ll get this written down in book form”, yet the day never seems to come. Instead you sit at your computer intending to start that inevitable best seller and first stop to check your email and Facebook, and wander from there to Twitter and Google. By the time you’ve finished your surfing, your best friend calls and you take the time to chat. Then you remember to throw a load in the washer and you grudgingly remove the clean laundry from the dryer which of course now must be folded. Finally the kids are home from school and the house is no longer work conducive. Here are a few things you can do to help increase your productivity: Schedule your work hours and actually GO TO WORK in a designated spot; it can be a separate room, a specific corner, a desk that is used ONLY for work, or even an easy chair IF you can control a mindset that you are there to work. Make a list of the things you must get done FOR WORK. Any to-do list that involves housework, social engagements, doctor’s appointments and family commitments should be kept separate. Next assign a time allowance for each of the more mundane tasks such as 30-minutes to check and respond to emails and give a cursory look at Facebook and Twitter (Freelancers especially should not ignore the internet altogether since this is a major way for clients to reach you). In planning your work, if you really are more productive during the night, then work at night and sleep during the day – but still work by a schedule. If you have a second phone or cell phone, use one only for important family communication during the work day and put an answer machine on the other to avoid wasting time with annoying telemarketers or chatty neighbors. Some of the things you might want to schedule into your workday might be specific writing time for assignments and deadlines, research time, submitting new queries, and composing blogs. Allow a large portion of time for free-writing which you can use if necessary to meet a deadline or simply to finally get that great story on paper. Don’t forget to schedule a lunch break and a time to end your workday. There may be times you’ll want to “bring your work home with you” but don’t let it happen too often or you’ll feel guilty for stealing family and personal time. Schedule household chores on your days off just like any 9-to-5’er. You are WORKING and do not have to excuse your determination to get through the workday. Others just have to understand it. While unexpected emergencies will crop up in every one’s life and throw schedules out the proverbial window, don’t allow neighbors to use you to provide frequent day care or collect deliveries while they commute to work. Stick to your schedule, record the work you did and check off each task you finish. You’ll find a pattern and make only the modifications you need and at the end of the day you will have that gratifying feeling of accomplishment. Writing exercise: Free write a crowded scene such as a bar at happy hour, a sub way car during rush hour or a store during a holiday sale. Use only your senses to describe the setting and action, what you see, hear, smell and touch. This week’s post is about Journaling & Memoirs. 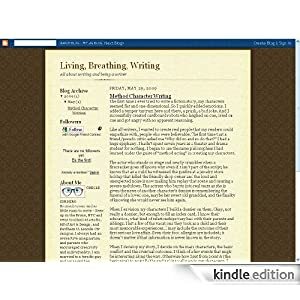 Having Chelle Cordero’s blog on my Kindle is like having an author here in residence with me. She gives inspiration, motivation, and best of all, practical advice and solutions. I love the “writing exercises” she offers at the end of each blog, as well as the “writing prompts”. I’ve already used them myself and with my 6th grade writing class!